Buy 1 - 1 for $31.99 ea. Buy 2 - 100 for $30.99 ea. 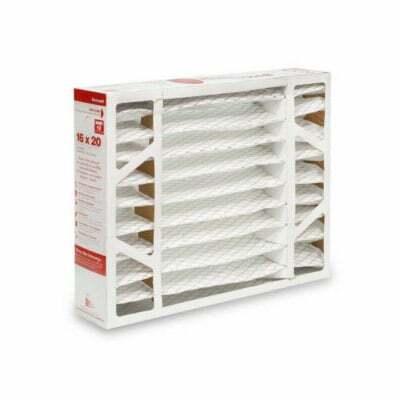 The Honeywell FC100A1003 replacement media pleated air filter utilizes exclusive Ultra-Web technology and features a MERV 11 rating that traps 96% of airborne particles between 3 to 10 microns in size. When it comes to the air your breathe, ensuring what goes into your lungs is important. Indoor air can be up to 100 times more polluted than outdoor air due to the fact that a house with good seals prevents fresher, outdoor air inside. If you house isn't letting in outside air you are probably saving a bunch on energy costs, however, the same old air is picking up more pollutants as is recirculates. Anything from cooking, smoking, pets, or our skin gets into the air and eventually into our bodies. If you suffer from allergies you know the effect of breathing contaminates as you cough, sneeze, and wipe your eyes every few minutes. For some the effect is more serious, up to gasping for breathe and needing an inhaler. 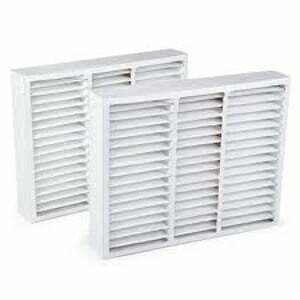 What an air filter does is to stop pollutants at the source, either at your return vents or your air conditioning system. Like how the heart pumps blood around your body, your HVAC system pumps air. When you replace your filters and use an extra deep media, like the 4" Honeywell FC100A1003, air passing though the filter is more clean. 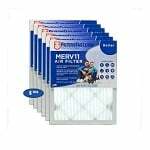 While regular cleaning and use of air purifiers in specific rooms will help, a quality air filter for your air conditioning system can make a big difference.